Transgender Erotica Awards: Who won? Stay up to date with adult entertainment conventions, trade shows and exhibitions all over the world. Read the news about announcements and stories. Our event calendar will show you what is happening when. And if you want to get some impressions from past events, then check our reports. 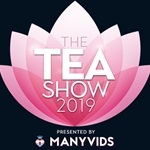 If you are a fan and want to know where to meet your favorite pornstar or see the latest adult products, look out for the shows marked B2C. For webmasters, affiliates, studios and all others working in the adult industry looking to network, find new contacts, products or business, go for the B2B events. In any way, Adult Industry Events is the source for you.